Living a Fit and Full Life: Revell Star Wars™ Snaptite® Build and Play Model Kits are a Must Have this Holiday Season! 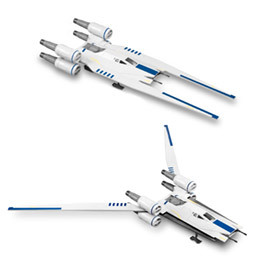 Revell Star Wars™ Snaptite® Build and Play Model Kits are a Must Have this Holiday Season! Model kits have entertained, educated and inspired one generation of builders after another. For over six decades, hobbyists of all ages have turned to the Revell Group brands, Revell and Monogram, for kits that are fun, affordable, and easy to build — without sacrificing quality or accuracy. 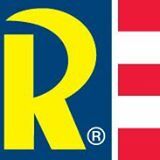 In 2007, Revell Inc. was purchased by Hobbico®, one of the world's largest manufacturers, distributors and retailers of model hobby products. It marked the start of an exciting new era for Revell. Hobbico is 100% employee-owned, giving each of the Revell employees a vested interest in helping our products and company succeed. Revell is a company that was started by modelers, for modelers, full of people who share the same passion for modeling. What's more, it's a passion matched by a commitment to success. Hobbico's mission — to promote your enjoyment of hobbies with products of the highest quality — is the same one that launched Revell nearly a century ago. Star Wars™ Snaptite® Build and Play Imperial AT-ACT™ Cargo Walker model kit includes 45 fun and easy snap together pieces. 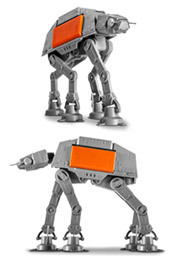 Features in the model kit include battle action sounds and a lighted cockpit that brings your Imperial AT-ACT™ Cargo Walker to life! Positionable head, legs and feet allows you to display your model in multiple battle poses! No tools, paint or glue needed, perfect for ages 8+. My girls love Star Wars and I cannot wait until my son is old enough to collect Star Wars toys because I fully expect him to love them just as much as my girls if not more. These Revell Star Wars Snaptite Build and Play Model Kits are the perfect gift for kids. Not only do they get to build and create and incredibly awesome Star Wars model but they can actually play with it when they're done. The battle action sounds make them incredibly fun and since kids get to build it themselves they will love it that much more. My eight year old put these together with minimal help from her father and they seem to hold up well during playtime. She never once got frustrated and thoroughly enjoyed assembling the models. When she found out they actually had sounds she was more than thrilled. I love that these Revell Star Wars Snaptite Build and Play Model Kits require no tools, paint or glue. They're perfect for kids and would make a great gift this holiday season! Available at Target and Hobby Lobby stores nationwide!